APEA/AFT has three regional offices in the state. Located at 825 College Road in Fairbanks. The Fairbanks Office currently houses the Northern Regional Manager, Northern Field Representative and the Administrative Assistant, as well as AFT Organizing Staff. 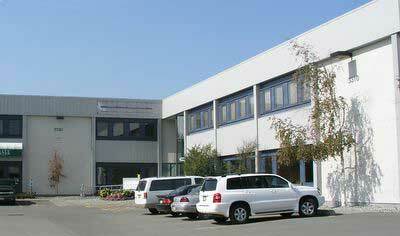 Located in Anchorage at 3310 Arctic Blvd, Suite 200. The Anchorage Office currently houses the Southcentral Regional Manager, Southcentral Field Representative and Administrative Assistant. 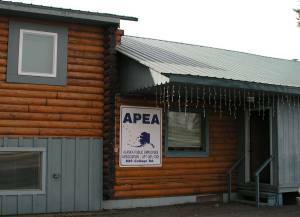 In addition, the office provides office space and administrative support to the Retired Public Employees of Alaska (RPEA) and to Totem Associates ESP. Note: Email the webmaster if you are an SU membr and don't have the password. Located in Suite 306 of the Assembly Apartment Building, diagonally across from the State Capitol Building at 211, Suite 306, Fourth Street. The Juneau Office currently houses the Business Manager, the Finance Officer, the Legal Trust Accountant, Membership Technician, Southeast Regional Manager, Southeast Field Representatives and an Administrative Assistant. The APEA/AFT Board of Directors supervises staff through the Business Manager. The Board can hire and dismiss the Business Manager, as can the membership through the recall procedures in the Bylaws. The President and the Business Manager negotiate contracts with the staff; which are subject to Board approval. The Administrative/Clerical Staff are represented by the Professional Labor Organization. Professional Staff have individual contracts.